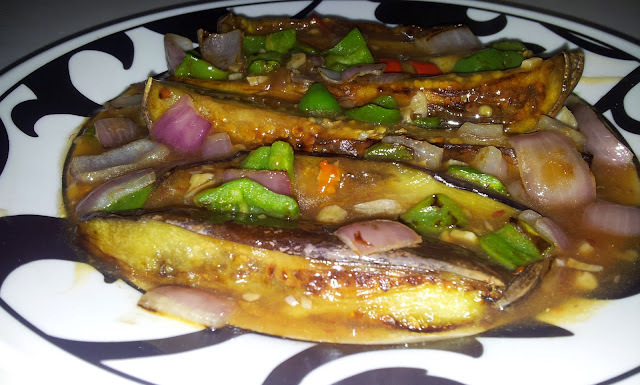 Fry egg plants in 2 Tbsp of seseme oil untill they get nice golden brown colour. Sprinkle a pinch of salt on top . In separate bowl take remaining 2 Tbsp of seseme oil and fry garlic untill it gets light brown colour.put finely chopped red pepper and spring onion . Followed by vinegar , chilli garlic sauce , sugar, soya sauce . Mix corn flour in 1 cup of water and pour into pan . 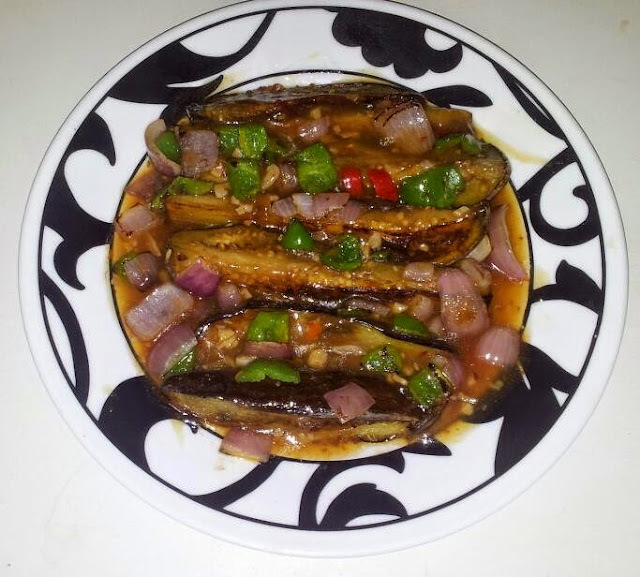 In one boil thrown in capsicum and onion and egg plant wedges and give another boil . At this stage you could put more water if you like light consistency . garnish with spring onion . 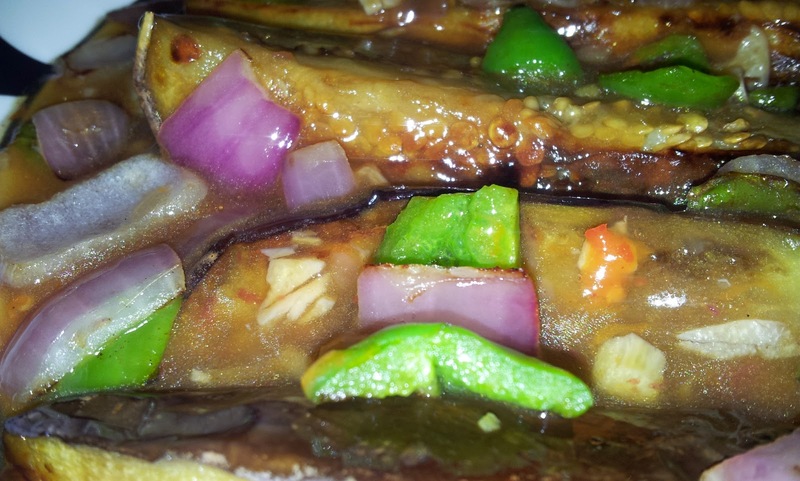 And served with rice noodles or plain steamed rice .